Scallops are rich in nutrients and flavor. Learning how to cook scallops will add a great arrow to any cook’s quiver. This is an easy recipe that shows how to cook scallops. Total prep time is about 5 minutes and cooking time is 25 minutes. This recipe feeds about 2-3 people. Start by preheating the oven to 350 degrees. Get the scallops ready to cook by gently drying them and remove the small muscle on the side. The easiest way to learn how to cook scallops are to use tongues and place them in butter for 30 seconds and dip both sides in breadcrumbs. Brush any excess crumbs off the scallops and lay them on a non-stick spray cooking sheet. Cook for 20 minutes in the oven. Remove and serve with white wine that compliments the delectable taste of scallops. Knowing how to cook scallops is a great way to help those you care about stay healthy. 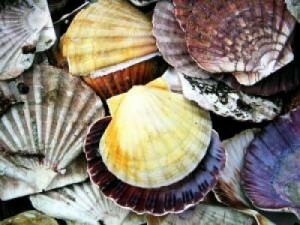 Scallops are enriched with nutrients that promote cardiovascular health called vitamin B12. Vitamin B12 benefits the body because it lowers dangerous homocysteine levels and prevents harm to blood vessels in the body, heart attacks and atherosclerosis.